Our comprehensive range of imaginative integrated platform lifts are designed to help those who struggle to climb stairs or reach a different level. Whether reduced mobility comes in the form of being confined to a wheelchair and have difficulties with walking due to joint, tendon or other issues, an integrated platform lift can be fitted in the home, in the workplace or in public places such as schools, libraries, museums, shops, stores and art galleries. They can lift 350kg, rise up to 3 metres and some bespoke lift designs can operate in temperatures from -40°C up to 50°C, making them suitable to be fitted indoors and outdoors. With a choice of different styles that include glass walls and automatic doors at the top and bottom levels of the lift. 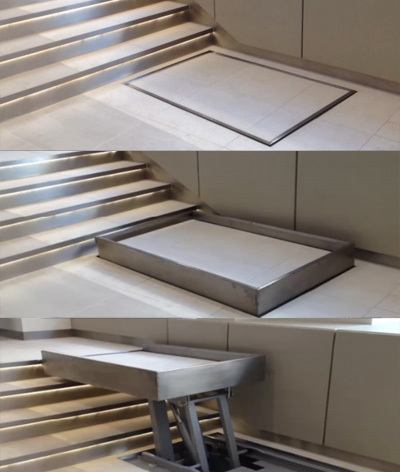 These are integrated into the stairs and are converted into a platform lift when activated. Once operational, safety barriers for the lift come up and the steps automatically change into a platform at both the top and bottom of the stairs. These integrated platform lifts can be operated using the up and down buttons on the lift. 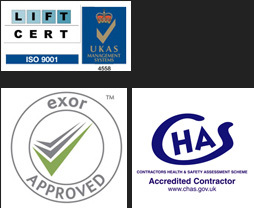 Our experienced engineers will be able to design, install and maintain the integrated platform lift that fit the requirements of your specification. Whether you are looking for an imaginative integrated platform lift solution, require maintenance on a existing installation or would like to speak to us about our comprehensive platform lift options, call or e-mail our customer service team today to discuss your requirements.